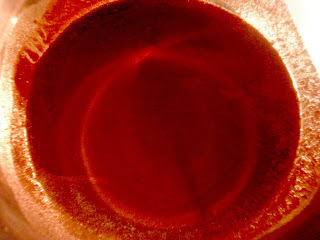 Ever wonder how in Japanese restaurant make such great sukiyaki sauce. The sauce is simply as 1-2-3. You can easily find all the ingredients needed in any Asian supermarket. Sukiyaki is known under Japanese Hot Pot, unlike the Chinese Hot Pot, the ingredients are cooked in the sauce before serving. 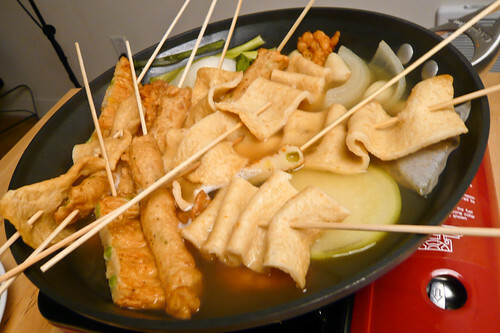 This recipe comes from a YouTube video called Cooking with Dog, a Japanese woman cooking Japanese dishes along with her dog. If you ever wonder how to cook them, these are THE videos. 1. 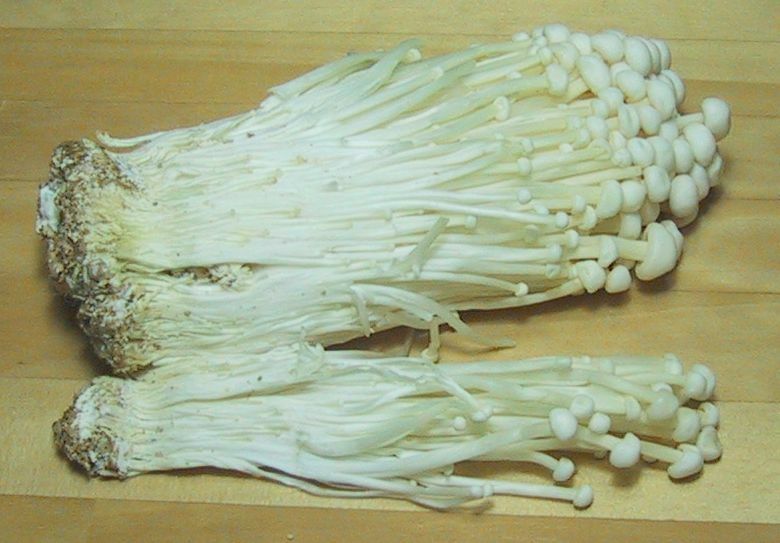 Cut tofu into 1/2-inch slices, shitake mushrooms and button mushrroms into quarters, nappa and leek into 2-inch slices. 2. 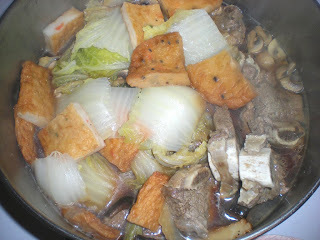 In a large soup pot, combine all the ingredients for the sukiyaki sauce and stir until sugar dissolved. 3. Boil sauce and add in all the remaining ingredients. Cover and simmer for 30 mins or until all the ingredients are cooked. OMG, that was one recipe that I absolutly loved that my mom would make when we were kids. I kept forgetting to get the recipe from her! It's funny that you posted one. I am so happy! Wow, that does loook simple to make! Thanks for sharing! I love "Cooking With Dog" too. I'm in the process of learning how to cook Japanese and Korean dishes and its very helpful. Thanks for the post.